The beloved, life-affirming international bestseller which has sold over 5 million copies worldwide - now a major film starring Lily James, Matthew Goode, Jessica Brown Findlay, Tom Courtenay and Penelope Wilton To give them hope she must tell their story It's 1946. The war is over, and Juliet Ashton has writer's block. 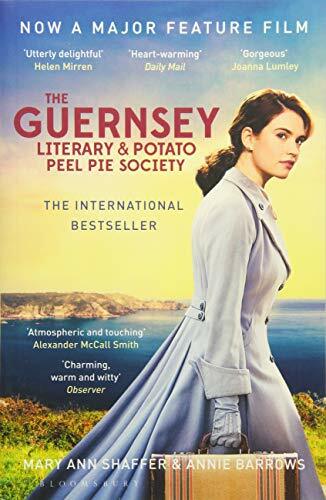 But when she receives a letter from Dawsey Adams of Guernsey - a total stranger living halfway across the Channel, who has come across her name written in a second hand book - she enters into a correspondence with him, and in time with all the members of the extraordinary Guernsey Literary and Potato Peel Pie Society. Through their letters, the society tell Juliet about life on the island, their love of books - and the long shadow cast by their time living under German occupation. Drawn into their irresistible world, Juliet sets sail for the island, changing her life forever.